For Kim, director of space and facilities management for the University of Nevada Las Vegas, School of Medicine, movement is the theme in her life. One thing Kim does not do is to sit still. For every space move, Kim’s dedication and commitment is to ensure patients are top priority and moves are cost effective. 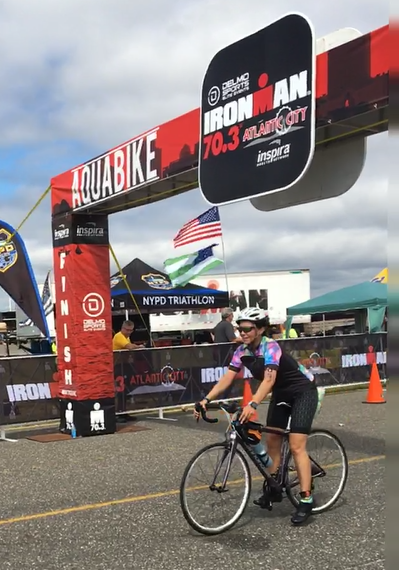 Kim’s passion and success as a triathlete are rooted in the everyday lessons she learns from the triathlon training and racing, along with her exciting career paths. Kim bikes on average 26 miles roundtrip, swims two to three miles and runs fifteen to nineteen miles. From first freelancing as a camera assistant, to flight attendant for the now-defunct ATA Airlines to having her first facility position at Stanford University. Kim’s story is exciting, inspiring and uplifting. In 2018, Kim won the Las Vegas Corporate Challenge bike race for the UNLV cycling team beating a tough competitor by more than a minute. She participated in a 100-mile bike ride to raise funds for multiple sclerosis.